1 What Is Papular Urticaria? Papular Urticaria is a self-limited reaction to insect bites and is most common in young children. The disease is characterized by chronic papules on the skin as a result of hypersensitivity to insect bites. The condition can’t be described as urticaria as Papular Urticaria often persists for a few days contrary to true urticaria that only lasts for a few hours. Papular Urticaria commonly occurs during the summer and autumn seasons when there are a lot of insects. They mainly appear on the legs and other body parts that are left uncovered. Sometimes, they seem scattered in small groups all over the body including the forearms and the face. Papular Urticaria is not a contagious infection. However, it’s hard to resist from scratching them as they are often itchy and may cause a persistent distress. When scratched deeply, the spots become crusted, and the lesions are subsequently broken thereby exposing the body to potential infections by pathogens. The infection rate of this disorder increases during the summer holidays when children between the ages of 2 and seven years are actively involved in outdoor activities and playing. The population of the insects also tends to increase during this period, and this also enhances the likelihood of infections. Compared to adults, children have a weaker immune system making them much vulnerable to the disease. In some instances, the infection may occur in adults but seldom does it cause any harm as it is fought off by the body’s immune system. Papular Urticaria affects all children regardless of their gender or racial backgrounds. 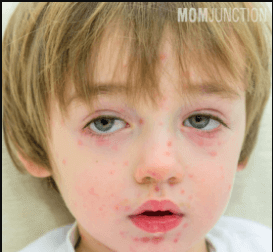 It is an infection that affects children from all around the globe with most cases recorded in regions with hot temperatures and increased insect population. Disease trends increase during hot summer periods and decrease during the winter or cold seasons. The lesions resulting from Papular Urticaria disease appears like a crop of bug bites although in truth it is likely to originate from just a single bug bite. However, the eruptions are recurrent and re-emerge at different times in different places. These particular outbreaks are caused by a single or several bites of an insect. The lesions remain visible for some time before they vanish and then spontaneously re-appear gain. Pruritus: This represents the initial stages of Papular Urticaria development. It is characterized by intense or persistent itching to find relief. The persistent scratching will lead to crusting of the lesion layer exposing the body to infections. It may also cause the wound to become sore or consequently foster old injuries from cropping up. The injury resulting from Papular Urticaria is small and can measure to approximately 2cm wide. More often than not, the red lesions will form clusters and blisters on the forearms, legs, or even face. They may also occur in the other parts of the body, including those that are entirely covered with clothes. The distribution of the lesion is somewhat symmetrical and may be localized in areas with majority bites. Sometimes, the lesions can spread throughout the skin and usually cause persistent scratching wherever they are located. 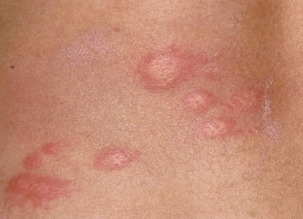 Itching characterizes the onset of lesions. The amount of itching, in turn, determines the different sizes of the lesions with some growing as big as 2cm wide while others are small and can only measure up to 20mm. Papular Urticaria is thought to originate from insects bites. Most reported cases are from insects although not all cases can be entirely attributed to insects. There are a few cases that indicate the presence of lesions in the absence of insect bites. 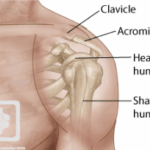 Causes of these injuries have become difficult to identify and are still being researched. The initial bites from the insects are long gone before a definite diagnosis of Papular Urticaria, and this makes it difficult for doctors and practitioners to identify and isolate the infection from other skin diseases that present the similar symptoms. One related disorder is the chronic Papular Urticaria or prurigo simplex which is brought about by an unknown cause and is assumed another form of atopic dermatitis. As earlier mentioned, incidences of Papular Urticaria are mostly common in insect-populated regions that have hot climates especially during the summer and autumn seasons. The lesions then clear by themselves during the winter or cold season. The onset of the infection is believed to be an allergy to insect bites. Various insects, especially those associated with cats, dogs, and other domestic animals have been pinpointed to be the primary cause of Papular Urticaria. The different insects considered as potential causes include. The straw itch mite, scientifically known as Pyemotes ventricosus is a parasite that lives in small insects. These insects are so minute that they are hardly seen by the human eye. They feed on the body fluid of the insects. This insect has over been linked with Papular Urticaria time and again by Packers, bakers, farmers, and indoor workers. Papular Urticariais an annoying disorder that has no serious effects. It tends to go away by itself with a few days or months but can always spontaneously recur. The primary aim of treating Papular Urticariais to take away the itchy feeling that always accompanies the disorder. Several options are available for the treatment of this itchiness. Topical steroid: This medication is in the form of cream and is used as the lesions start developing on the affected parts of the skin. Antiseptic cream: It is an ointment that prevents secondary infections due to persistent scratching of the skin. Oral antihistamine: A medication that has proven to be efficient in reducing the itchy feeling as well in preventing the growth and development of lesions. Hernandez RG, Cohen BA (2006) Insect bite-induced hypersensitivity and the SCRATCH principles: a new approach to papular urticaria, Pediatrics, 18(1):e189-96. Shmidt E, Levitt J (2012) Dermatologic infestations, Int J Derm, 51(2):131-141.